For more than half a century, the Jim Henson name has been synonymous with the creation of expressive and enduring characters. Innovation has been a hallmark ever since a teenage Jim Henson made the pioneering leap from the traditional hard materials of theater puppetry to the flexibility of fabric and foam, transforming the art form for the new medium of television. As Jim gathered a team in the 1960s to help propel his vision forward, he and master builder Don Sahlin honed in on the design and technique that would bring a unique look and performance style to a multitude of characters. 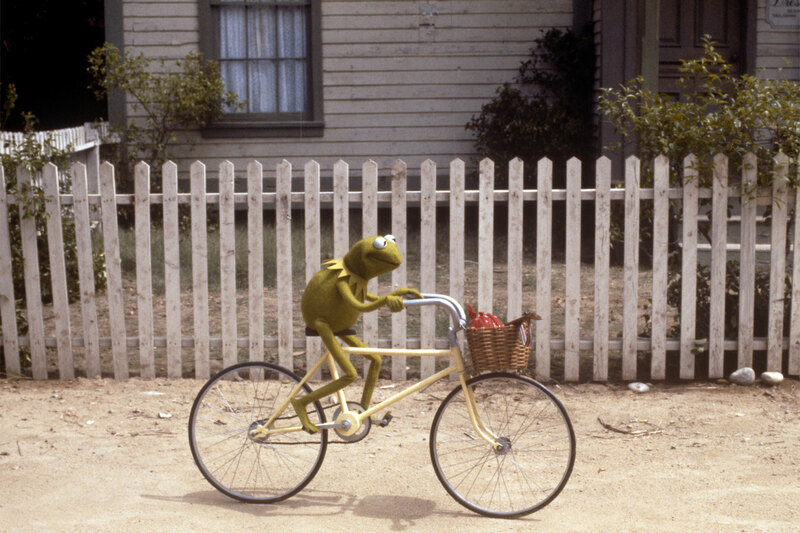 Jim challenged his colleagues to discover or invent methods to achieve believable expressions and to allow for the seemingly impossible, like a frog riding a bike. By the 1970s, the Henson workshop in New York was creating hundreds of characters for Sesame Street, The Muppet Show and a host of other projects. A group of characters for Saturday Night Live and the woodland denizens of Emmet Otter’s Jug-Band Christmas inspired a burst of exploration in new materials and performance mechanisms, leading to the development of Jim’s first fantasy film, The Dark Crystal. In an effort to create a unique world, Jim began a partnership with British illustrator Brian Froud. Jim assembled a range of artisans, and set them up in an old postal sorting facility in the Hampstead section of London. To differentiate it from his puppet workshop in New York, Jim called this new entity Jim Henson’s Creature Shop. Research, experimentation and craftsmanship moved the group to the cutting edge of effects innovation, and they were well set to take on groundbreaking Henson projects like Labyrinth and The Storyteller and outside projects like Dreamchild. The innovations of the London Creature Shop and the craft of the New York workshop came together in 1980s with the development of Fraggle Rock. Electro-mechanical genius Faz Fazakas led the team who created animatronic puppet control systems and put those inventions to work, making a further leap by removing cable controls in favor of radio control. This was the Henson Performance Control System – it enabled nuanced expressions and realistic movement in characters of any size or shape and earned an Academy Award in 1992. Moving HPCS into the digital realm, Jim and his team created a digitally animated character performed in real time by puppeteers using a motion-capture hand rig to control movement and expression. After Jim Henson’s passing in 1990, his son Brian took the lead in the Creature Shop and relocated to larger quarters in Camden Town. A flurry of activity included projects like The Muppet Christmas Carol and the astounding animals of Babe which earned a second Academy Award for the Creature Shop. Both workshops were busy throughout the 1990s and into the early 2000s with new Henson characters for screens of all sizes, creatures for live theater, and numerous outside productions. With Hollywood calling, a third location in Burbank opened, providing remarkable characters for the TV series Dinosaurs and film projects like The Flintstones and Where The Wild Things Are. Today, the skilled and dedicated team at Jim Henson’s Creature Shop continues to follow its founders’ lead with groundbreaking innovation, evolving with the effects industry by implementing practical puppet and animatronic techniques when appropriate while embracing the potential of digital effects. The digital technology that Jim began has now evolved into the Emmy Award-winning Henson Digital Puppetry Studio. This technology allows entire communities of animated characters to be brought to life with the spontaneity and flexibility of real-time performances. So whether it be the soft puppets of Sesame Street, the on-stage creatures for Lady Gaga, or the digital characters of Sid the Science Kid, the long history of combining an extraordinary array of puppet making skills with cutting-edge animatronic and digital technologies positions Jim Henson’s Creature Shop as a leader in the field of character creation and effects. Business Inquiries Only Please. In order to meet our production deadlines, we are not able to field non-business calls.